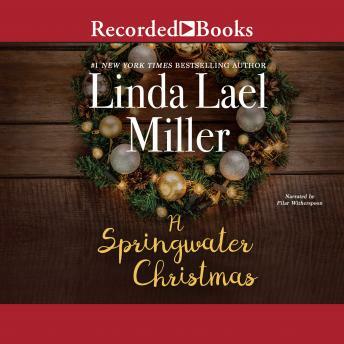 Come home to the heart of a frontier town.... Linda Lael Miller created magic in five novels set in Springwater, Montana -- and in the delightful characters whose lives and hearts entwine in each of her enchanting tales. Now, come back to Springwater for an unforgettable holiday -- and join in the tears and the smiles when a prodigal son returns to find love at long last. When Jack McLaughlin drifted into Springwater, he carried little more with him than his bitter memories of the Civil War and the shattering secret of a promise betrayed in the heat of battle. Wounded soul-deep, and fearing the wrath of his own parents, Jack has hidden his identity and come to Springwater to see his mother and father from afar, even if he can't bear to face them. Taking odd jobs and keeping a low profile, Jack finds a safe haven at the town's new rooming house. Olivia Darling had never done anything impulsive -- until she left the east and opened a boarding house in Springwater. But still an outsider at heart, and struggling to make a success of her business, Olivia finds herself turning to the other newcomer in town, the rough-hewn and embittered man she's taken in. As the Christmas season brings them together, Olivia finds in Jack's arms a passionate sweetness she never knew existed. And with the stunning revelation of Jack's true identity, all of Springwater witnesses a heartwarming reunion that will change their lives forever.